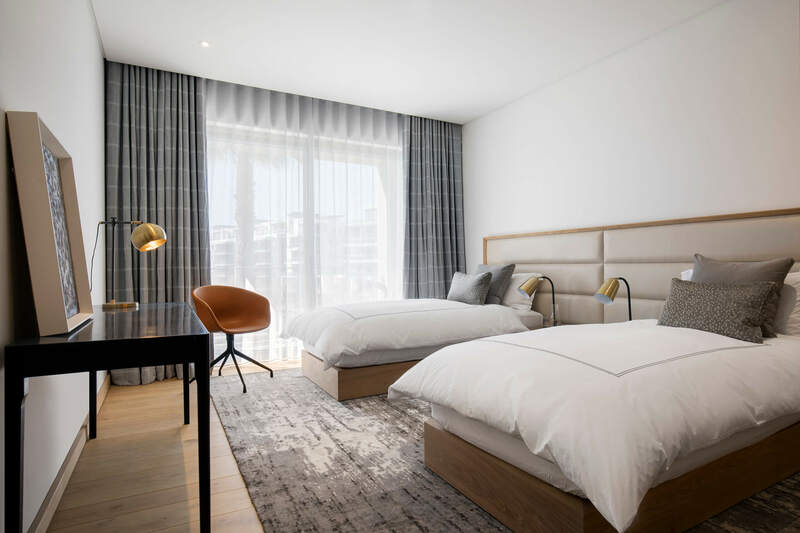 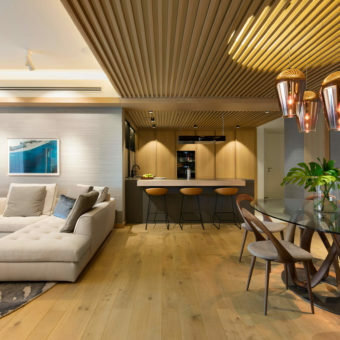 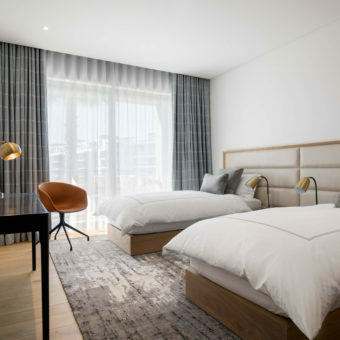 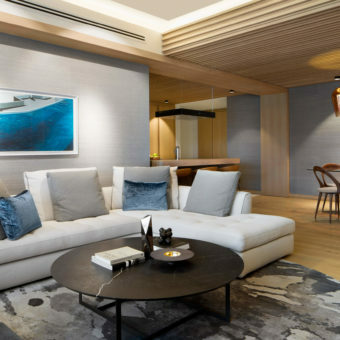 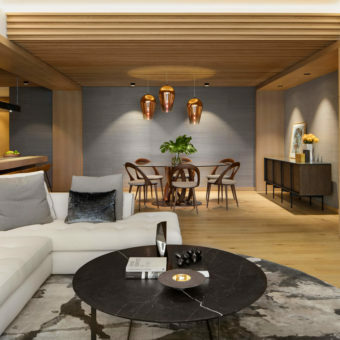 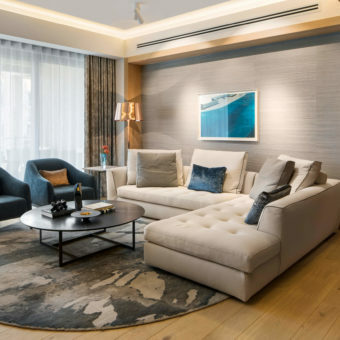 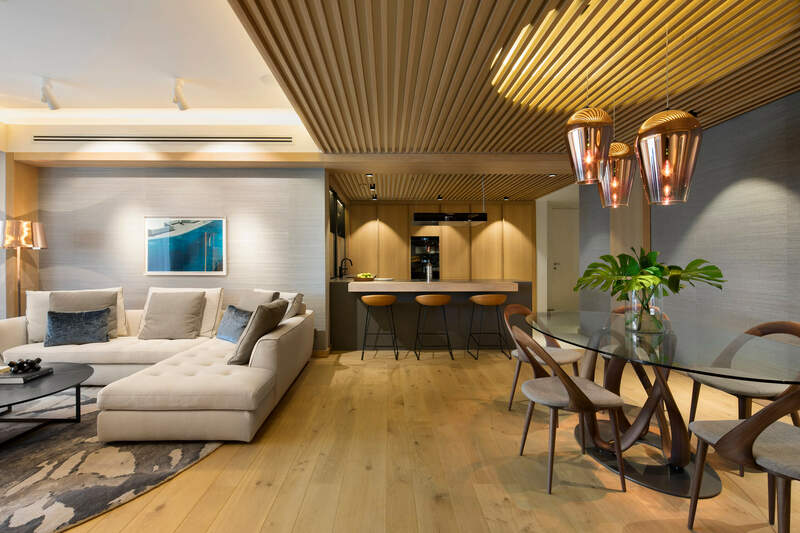 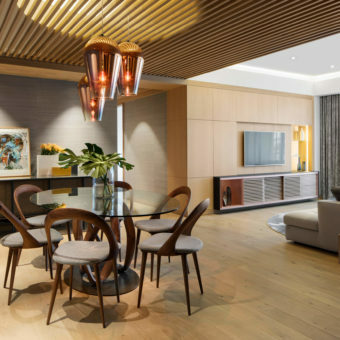 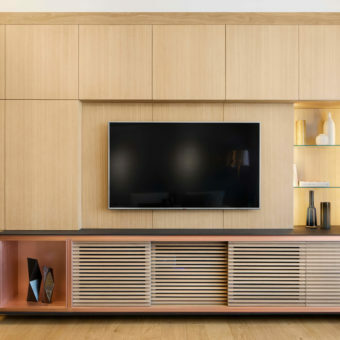 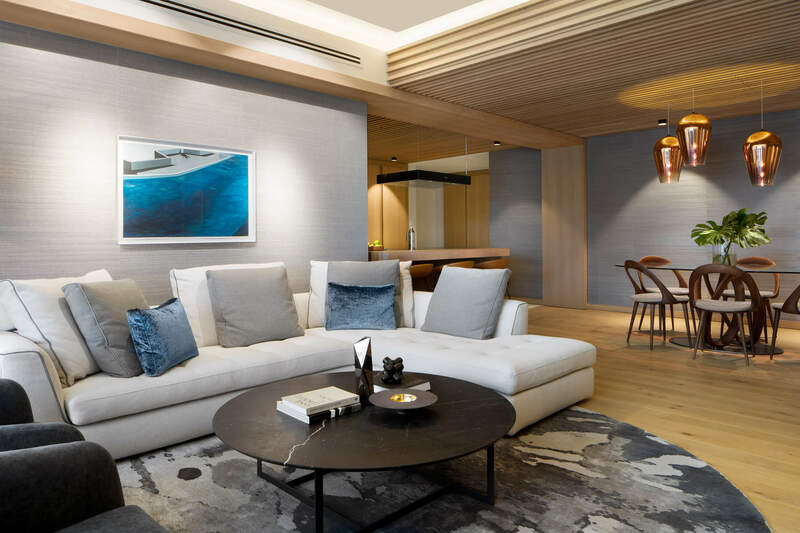 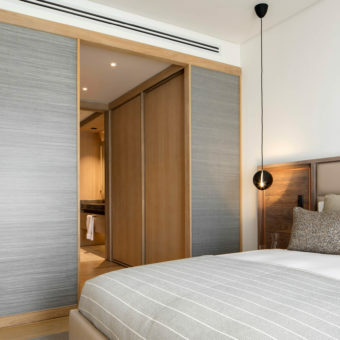 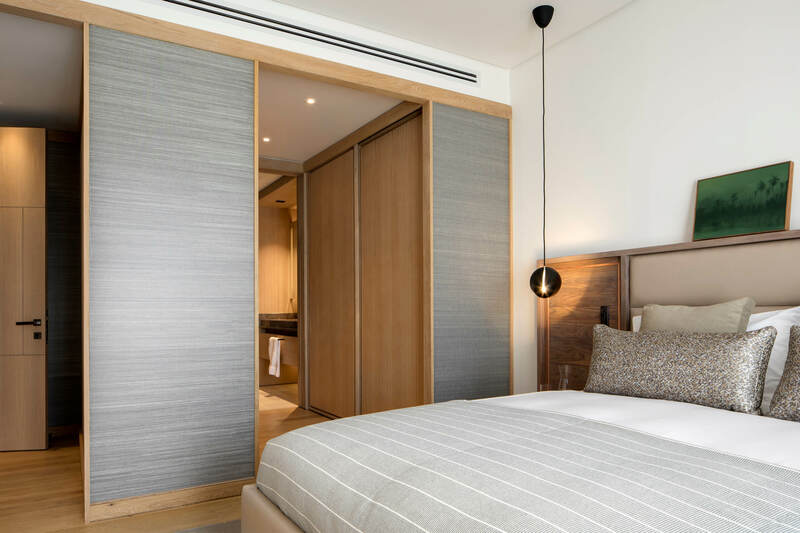 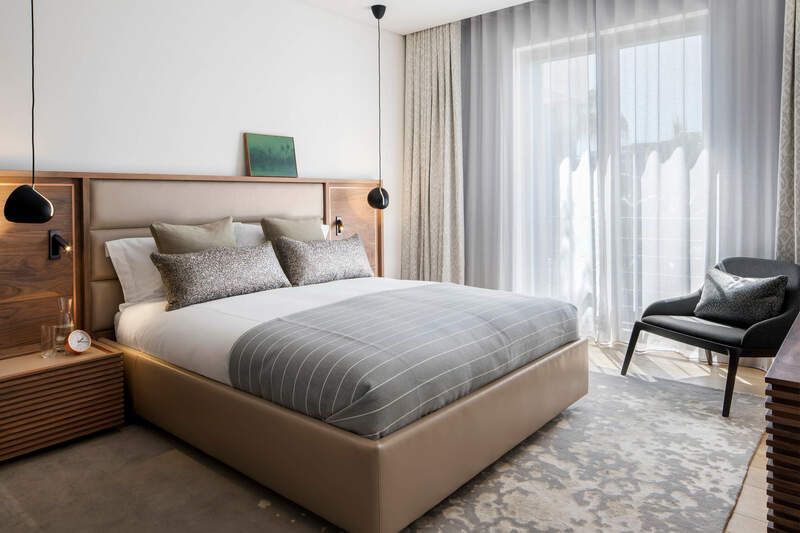 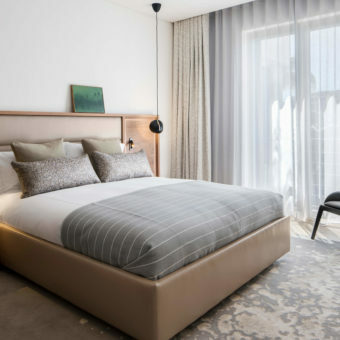 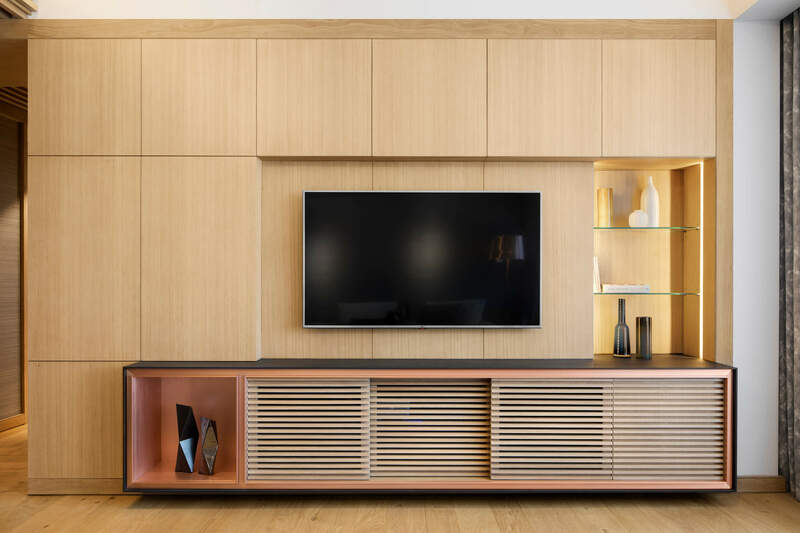 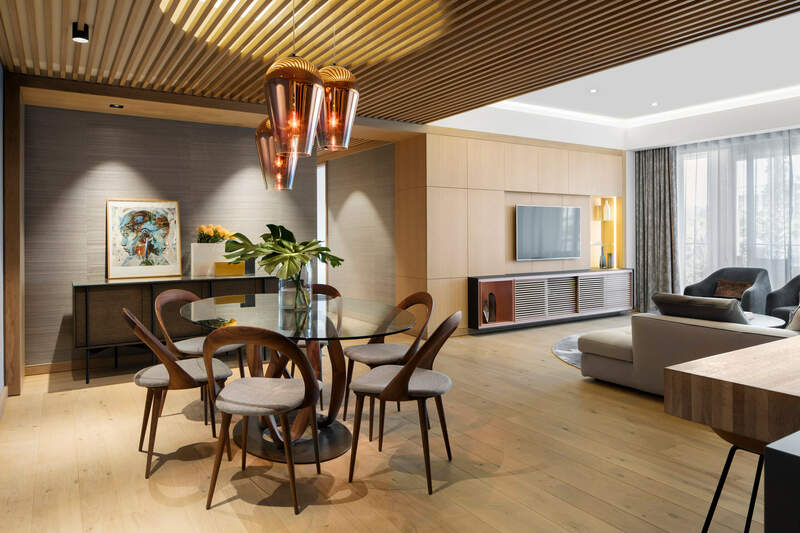 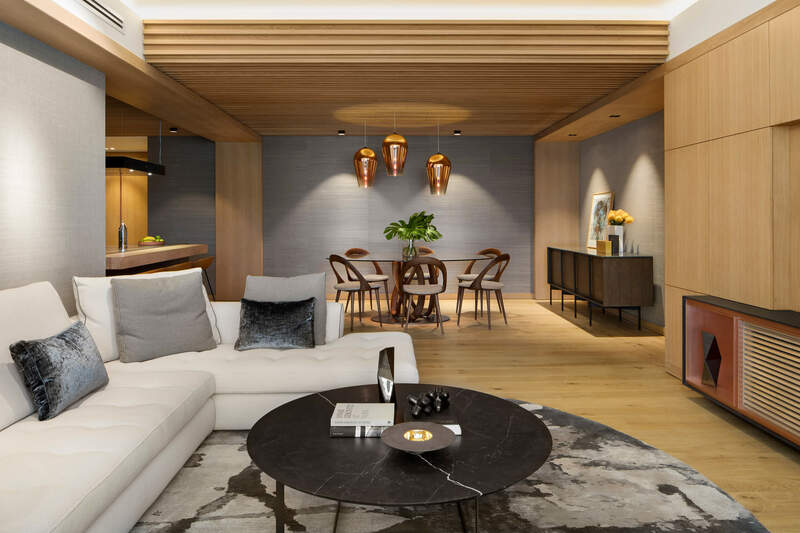 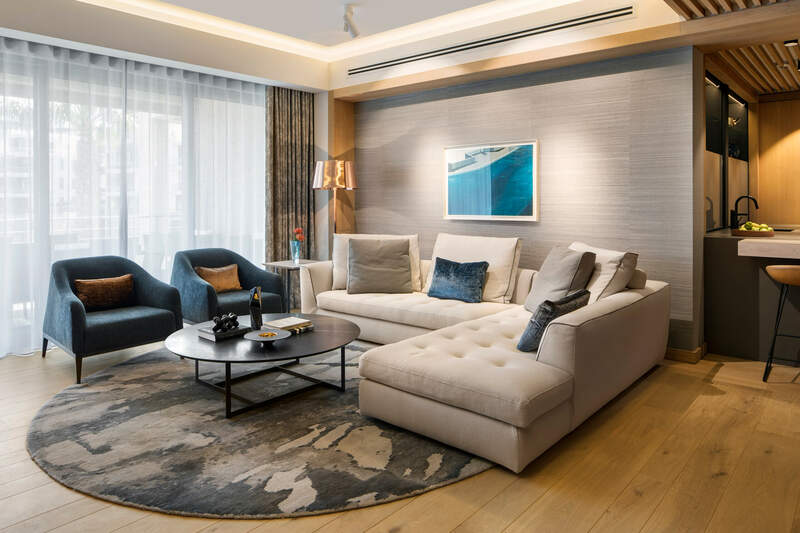 The project comprised the remodeling of an existing apartment overlooking the canals of the Victoria and Alfred Waterfront in Cape Town’s Table Bay. 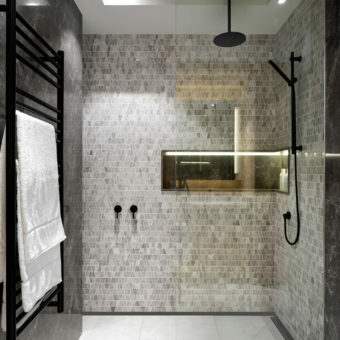 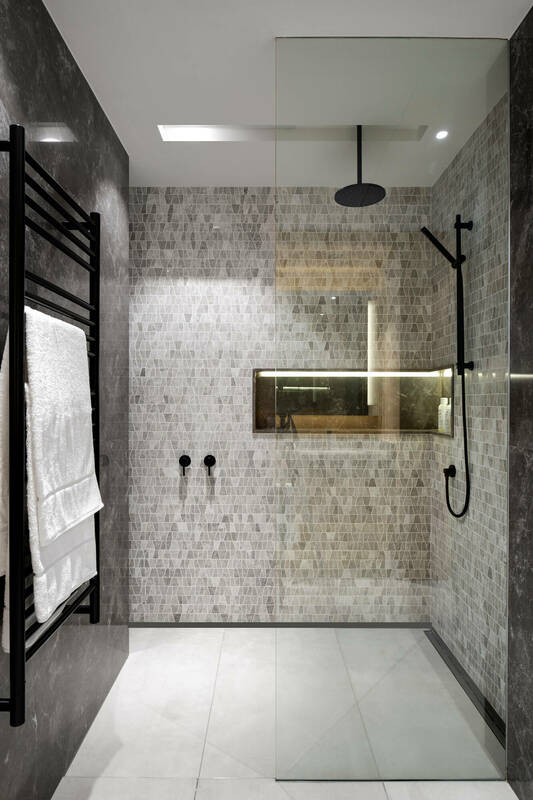 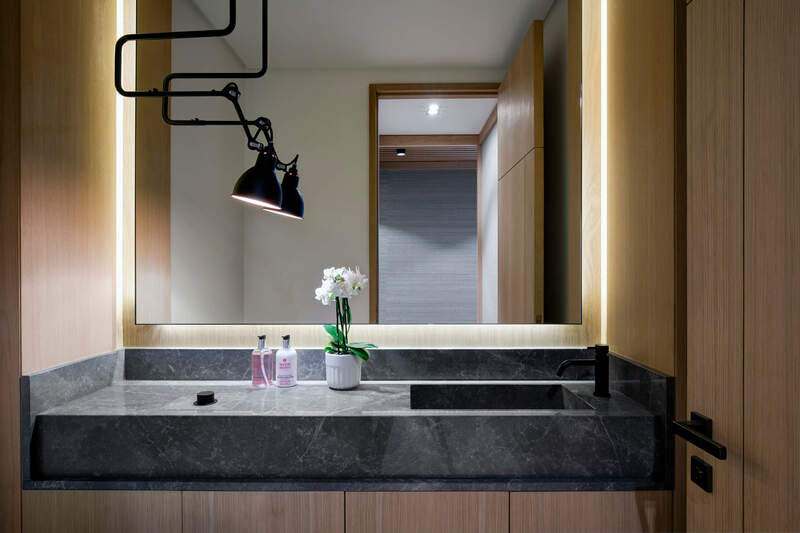 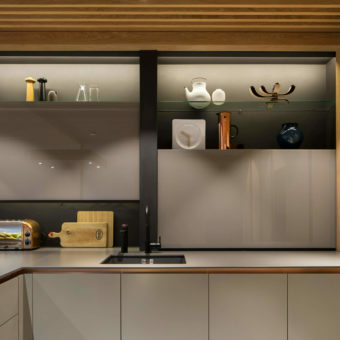 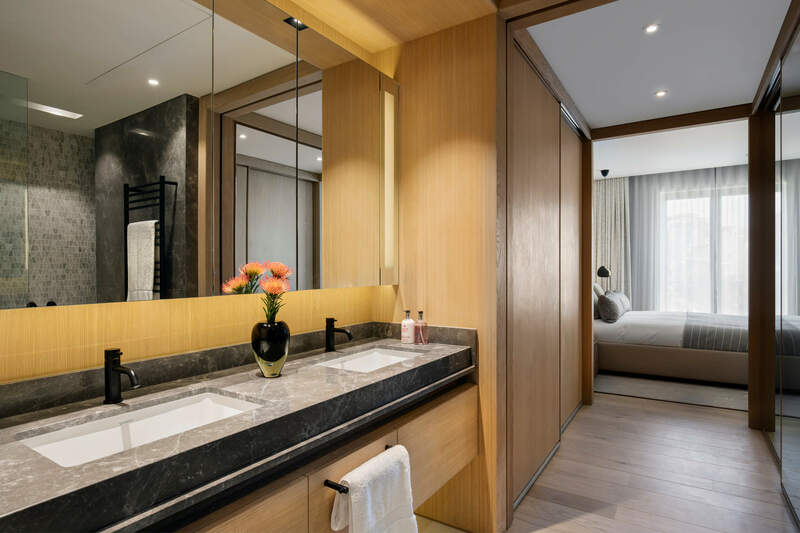 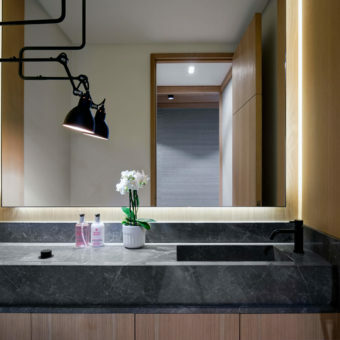 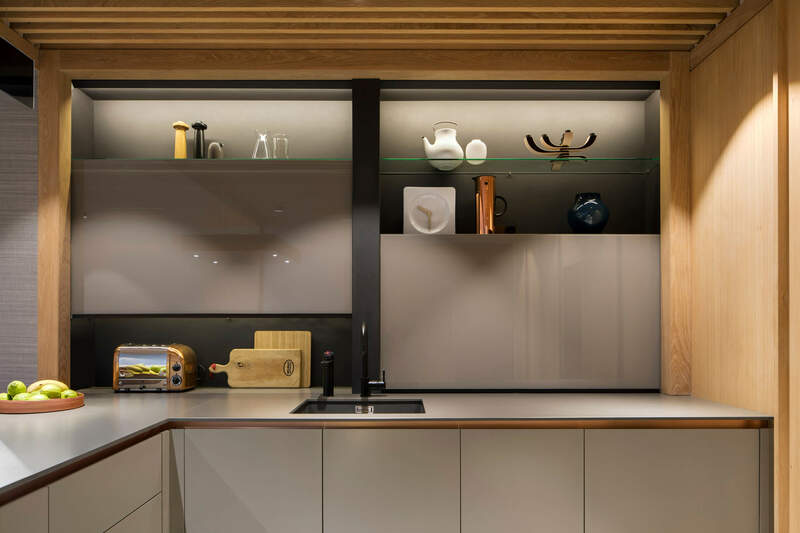 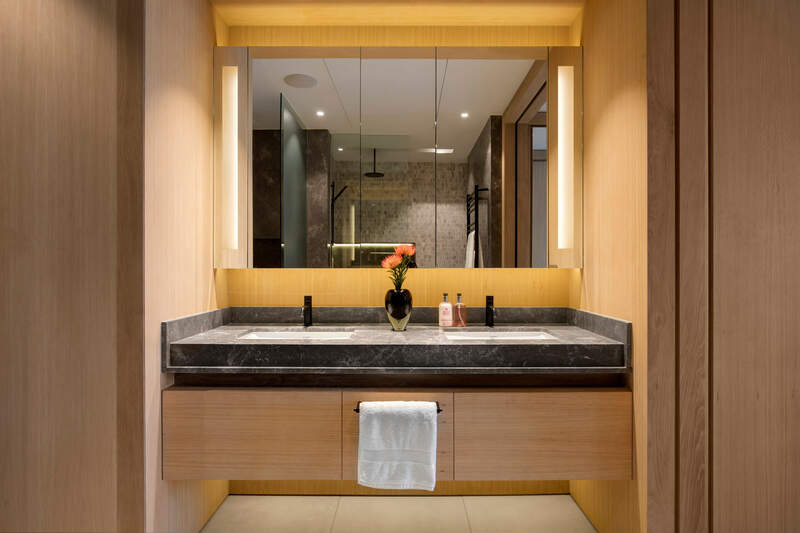 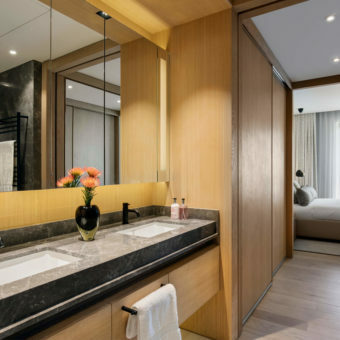 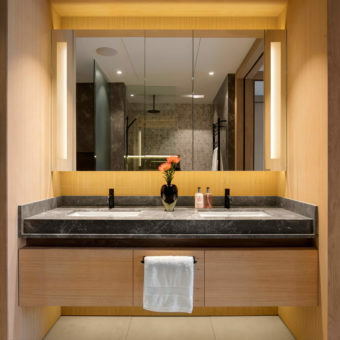 Ancillary spaces such as bathrooms and the kitchen were opened up spatially to their adjacent rooms, allowing in light and creating cohesion between all the spaces. 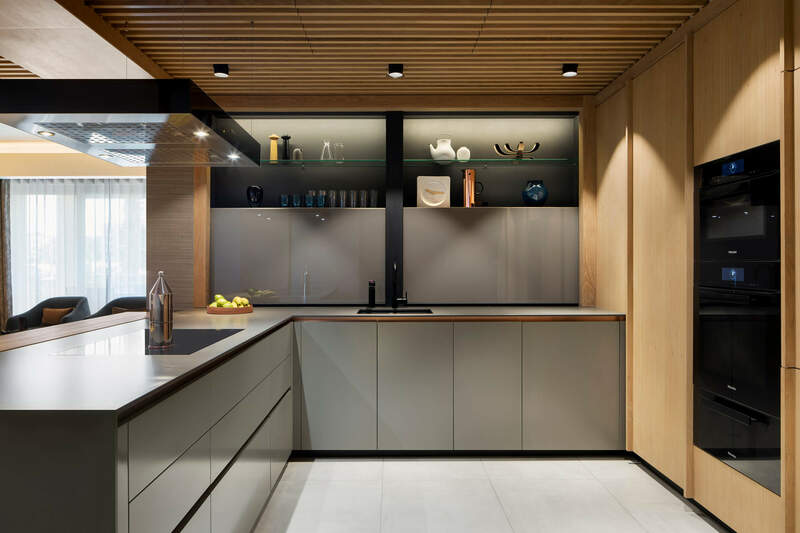 For instance, the kitchen used to be a cellular and dark separate space, but has now been given center stage in the entry and living sequence. 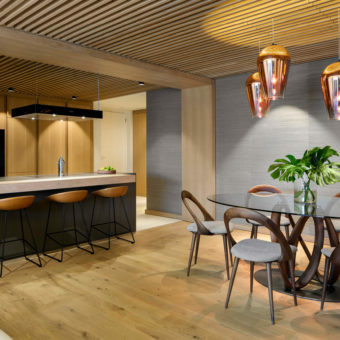 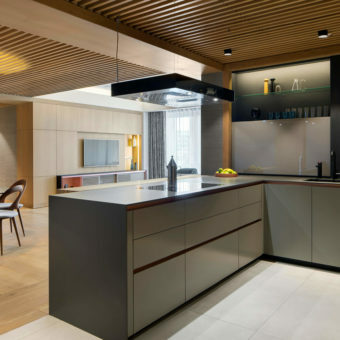 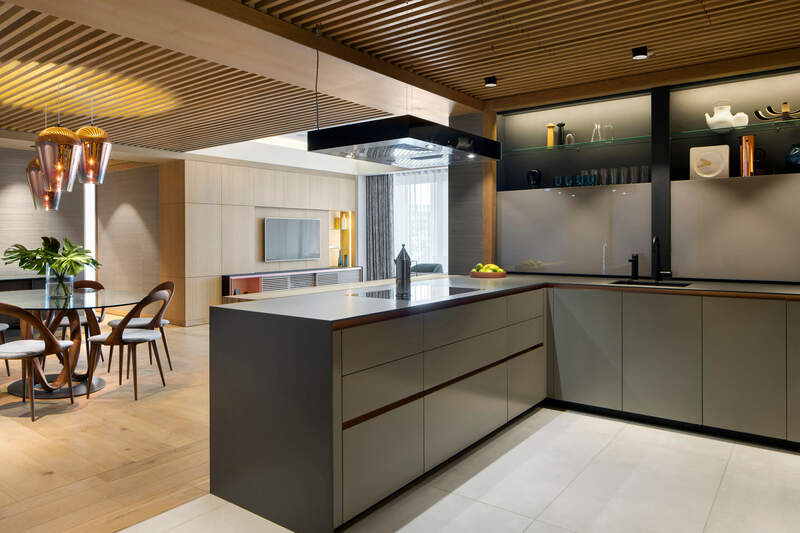 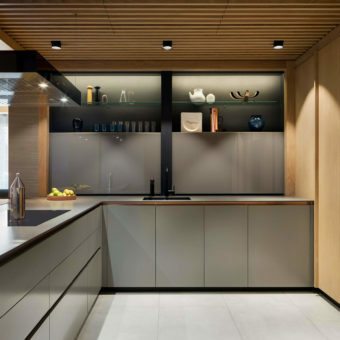 A hierarchy in space was achieved by introducing lower oak slatted ceilings to the kitchen, dining room and hallway – to contrast with the living and bedrooms spaces and their higher white ceilings, bouncing natural light into the depth of the floor plate. 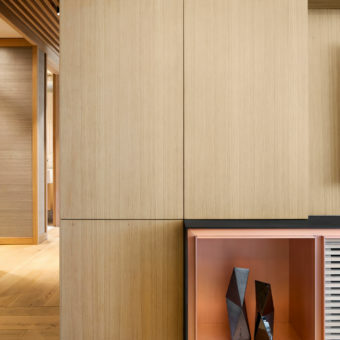 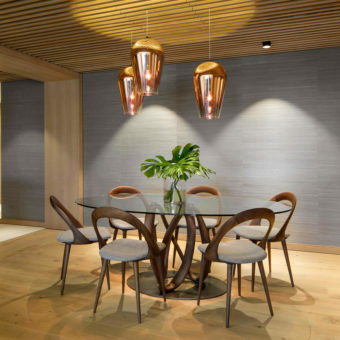 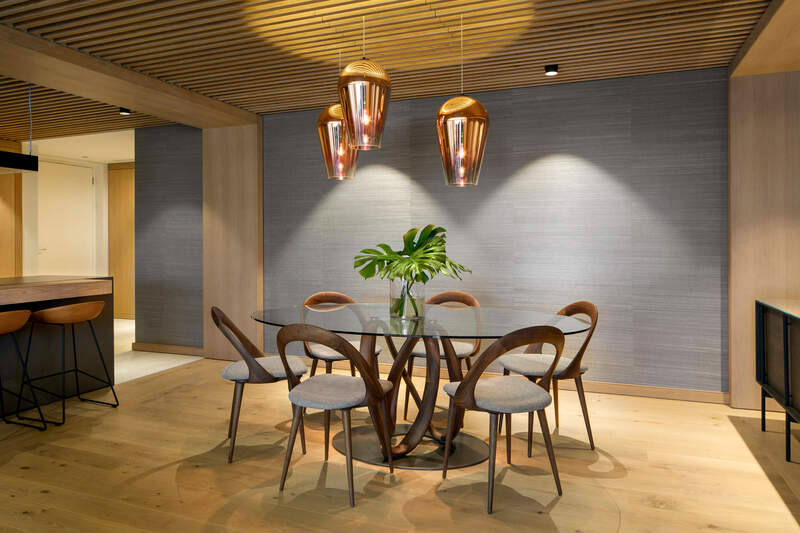 Timber paneling and natural grass wallpaper planes are off-set with the textures of oak slats and details in copper metal. 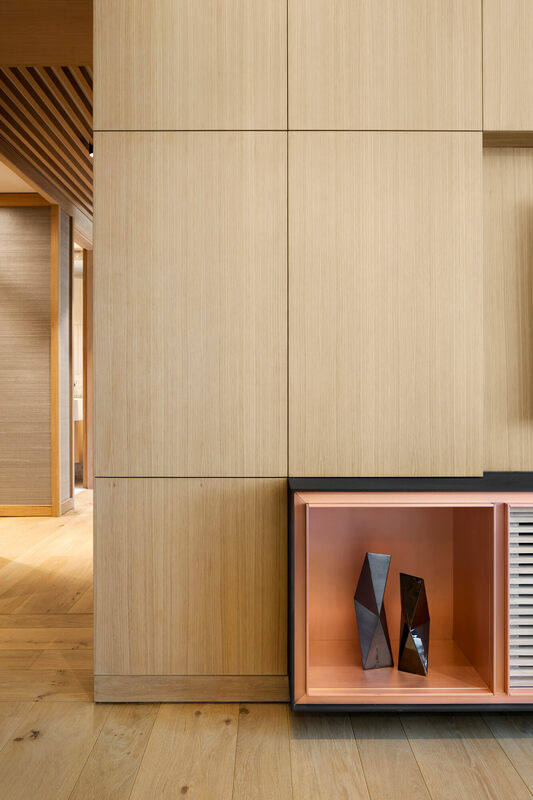 Care was taken to keep the furnishings within the colour range set by the architectural interior shell, aiming for calmness and hues within a restrained palette. 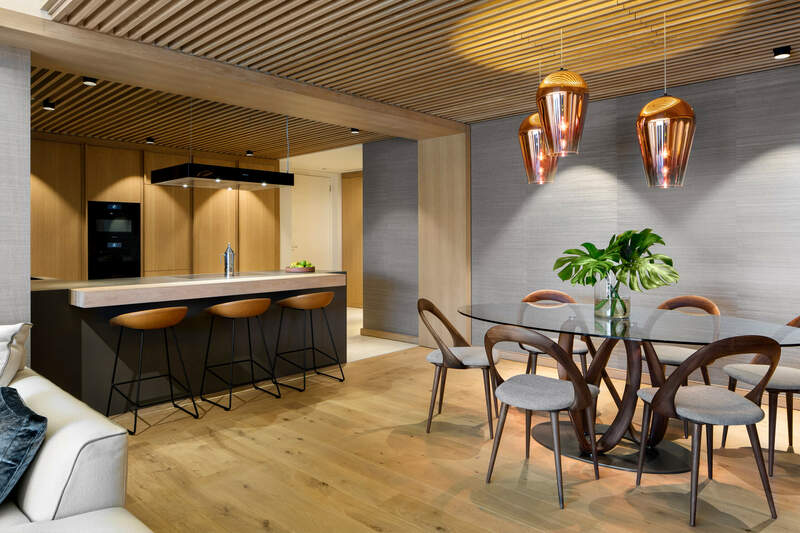 Malan Vorster Architecture Interior Design were responsible for a complete service comprising: Body Corporate liaison, architectural interior design, kitchen and joinery design, furniture, fabric selection, procurement and installation.